At over 200 pages, (.pdf version) and 100 illustrations, this book is a 16 chapter guide covering: Mental Preparation, Emergency Evacuation Kits and Caches, Air, Shelter, Water, Food, Medical, Protection, Communications, Transportation, Clothing, Information, Financial, Power Production, Kit and Suggested Readings and Additional Resources. Each chapter covers important information for you and your family to use to get ready before tough times. 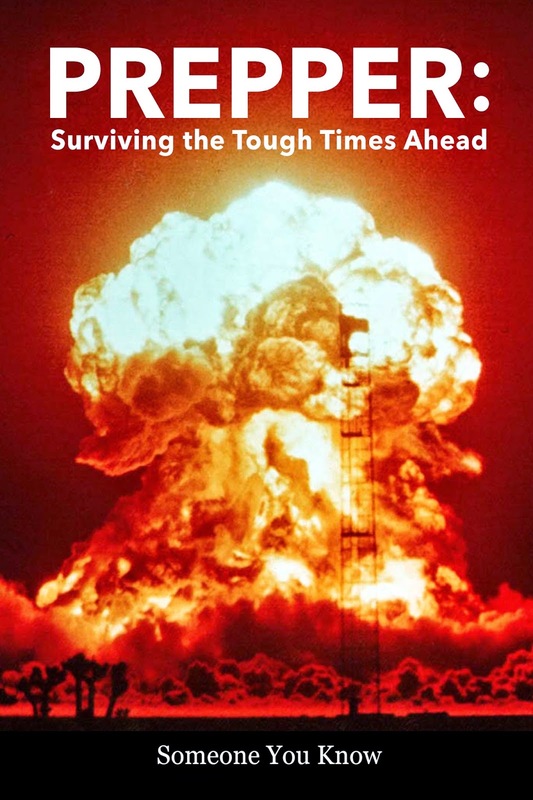 Prepper: Surviving the Tough Times Ahead also offers information on how to survive during tough times. Reading the 'free' sample will help you and your family make good decisions and avoid making common mental mistakes. It will also provide a method for you and your family to inventory your supplies, make purchases, and more. In other chapters, like "Chapter Three: Air," you will learn about inspecting and purchasing a gas mask to protect yourselves from a chemical weapons attack. In "Chapter Six: Food," you and your family will learn about buying and storing food for a short, medium, and long-term event. In "Chapter Seven: Medical," your family will learn about proper waste disposal, important preparations for women preppers, and much more. In "Chapter Eight: Protection," your family will learn about selecting appropriate firearms for protection. It will also provide information about other protective equipment like body armour and non-firearms. In "Chapter Nine: Communications" common radios are discussed, so your family can be informed before and during an event. In "Chapter Eleven: Clothing," you will learn about the important clothing, you and your family will need during an event. In 'Chapter Thirteen: Financial," you and your partner will learn about buying silver and gold, why 'cash' is important during and after an event, and much more. Lastly, "Suggested Readings and Additional Resources" will provide much more information and resources for your family to use to prepare for an event.